I just tucked in my 11 year old. Tomorrow everything will change. She’ll be 12. I can’t believe that my daughter is TWELVE! I have a 12 year old! Did I mention that she will be T-W-E-L-V-E? As I watched her get cozied up in her bed, my mind flashed back to her beginning. Her story could have been so tragically different. 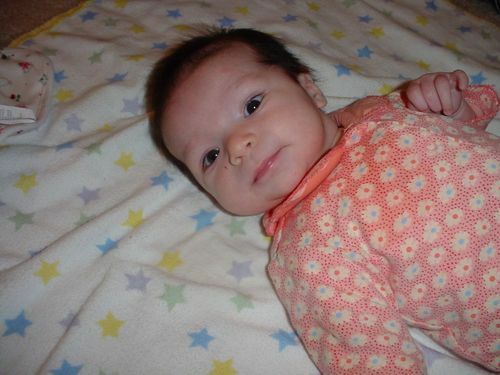 Due to some complications during birth, my daughter was intermittently deprived of oxygen. Her faint voice cried out as she was surrounded by multiple nurses attending to her. She was my first baby. I had no idea anything was wrong, but my Mom who was there for the birth knew something wasn’t right. Babies aren’t meant to come out completely purple. I got to see her for a few seconds as they hovered her oxygen masked face over mine so I could look at my baby girl before she was whisked away, and the room was quiet. About a half an hour later a nurse came in and said “Your baby is very sick. We’re doing all we can.” It wasn’t until I heard those words that I realized how dire my brand new baby girl’s situation was. I was able to be wheeled over to see her in the newborn intensive care unit. After scrubbing my hands and forearms clean for a full two minutes I was wheeled past tiny little babies in huge incubators. Then, we came to my sweet baby girl, we hadn’t even named her yet. As a matter of fact, she wouldn’t have an official name for 5 days. She had wires coming from everywhere, and a huge clear box over her head that was pumping pure oxygen into her tiny little lungs. As we listened to the beeping of her heart monitor, all we could do was hold her little hand, stare at her beautiful face and pray that God would heal this sweet miracle. I looked into her eyes and I saw her Daddy. To this day she still looks like my husband. When we got into the hospital lobby I had to sit down. I felt faint, nauseous and terrified. How could I keep a baby alive that had been so dependent on machines for survival? What if she dies? After prayer and encouragement from my family, we went and put her little hat on that had a HUGE purple bow, (which looking back now was rather obnoxious), and off we went. I am so thankful for the healing that God brought my baby girl who is now twelve years old! Oh, by the way, we named her Emi. She loves when we talk about her story, and what a little miracle she is. The truth is, every single one of us is a walking, talking miracle. We all started out sick at one point or another, we all needed healing. Healing takes time. No one can dictate how long your healing should take, or wonder why you’re not there yet. So, take your time, let the healing happen. God healed my baby girl. It wasn’t necessarily the machines, or the talented medical staff. God reached down, and decided that He had more for Emi here on earth. You, my friend are a living, breathing person, and that means that God has more for YOU, He is not finished with you! Healing is coming, just wait and watch the miracle. P.S. Happy Birthday Emi! We love you!